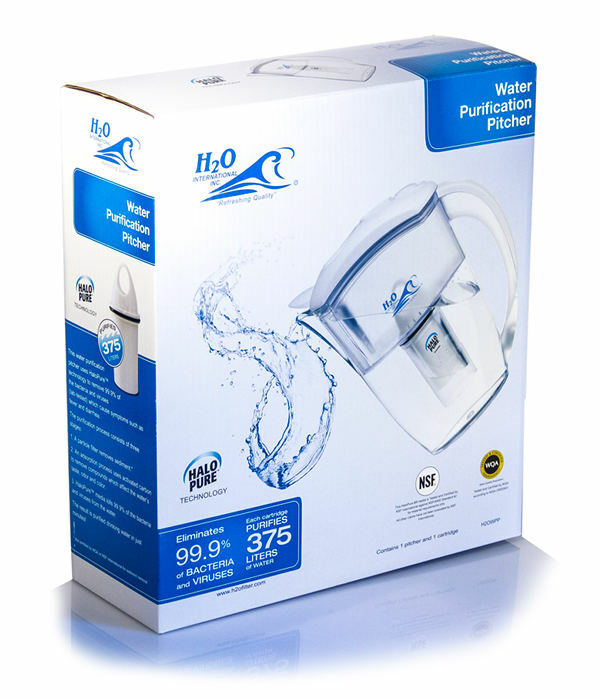 The H2O-WPP uses HaloPure™ microbead technology to remove 99.9% of the bacteria and viruses (lab-tested) which cause symptoms such as fever and diarrhea. 1. A particle filter removes sediment. 2. 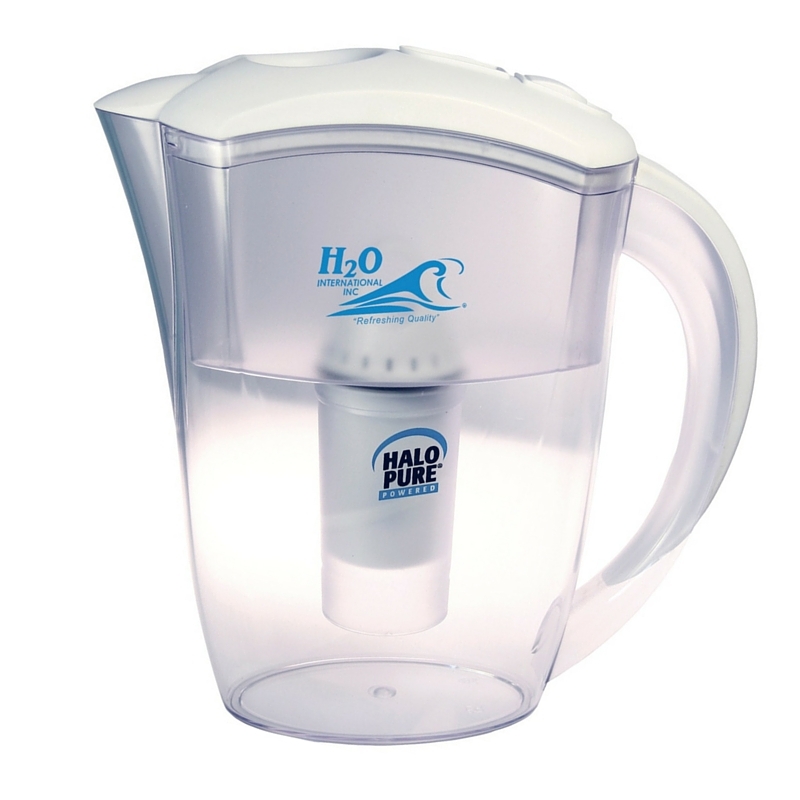 An adsorption process uses granular activated carbon to remove taste, odor and color compounds from the water. 3. 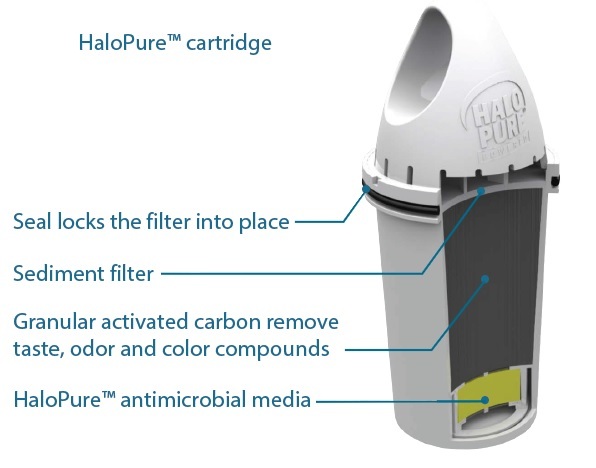 HaloPure™ media eliminates 99.9% of the bacteria and viruses from the water. The soft grip base at the bottom prevents surface scratching and sliding.